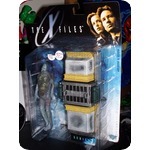 The X-Files Fight the Future "Fireman" (McFarlane Toys 1998) MOC!! The Spectacular Spider-Man #105-106,114 (Aug 1985-1986, Marvel) VF!! 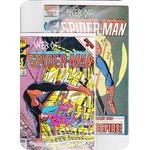 Collector's Edition Web of Spider-man #113 & Web of Spider-man Annual #10 Both NM!! 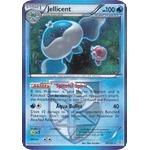 Pokemon Team Plasma Storm Jellicent #39 NM!! 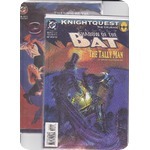 Batman #497 (Jul 1993, DC) NM!! Amazing Spider-man Annuals #23 (1989) #27 (1993) Both NM!! 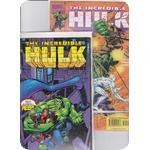 Incredible Hulk #464-465 Both NM!! 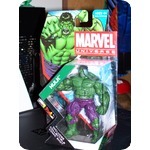 Marvel Universe HULK (Hasbro 2011) MOC!! 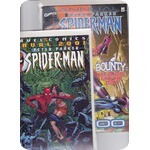 Peter Parker Spider-man 2000 & 2001 Annuals Both NM!! Superman / Batman #60-62 (Jul 2009, DC) All NM!! Star Trek Blu-ray NEW!! 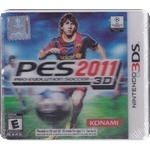 Still Sealed!! The Spectacular Spider-man #213 & #250 Both NM!! 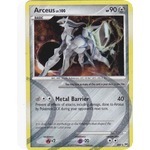 Pokemon Platimun Arceus AR9 NM!! 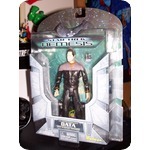 Star Trek Nemesis Lt. Commander DATA (Art Asylum 2002) MOC!! STAR TREK LT. 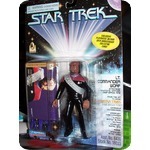 Commander Worf (Playmates 1996) MOC!! 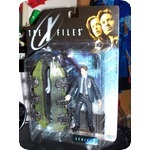 The X Files Agent Fox Mulder (McFarlane Toys 1998) MOC!! 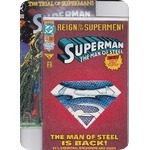 Collector's Edition Superman The Man of Steel #22 & Superman The Man of Steel #50 Both NM!! 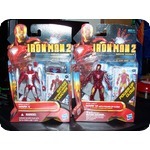 IRON MAN 2 MARK VI w/ power-up glow & MARK V (Hasbro 2009) MOC!! Batman: Shadow of the Bat #20 & #36 (Nov 1993,95, DC) NM!! 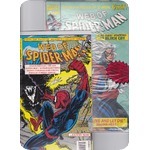 Web of Spider-man #6 & 14 Both NM!! 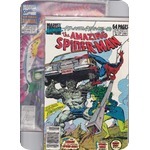 Amazing Spider-man Annuals #23 & 27..
Will be packaged with extreme care and fast shipping.. 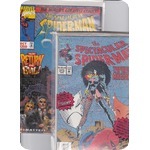 The Spectacular Spider-man #213, 250..
#213 Collector's Edition, polybagged with 16 page preview & animation cel.. 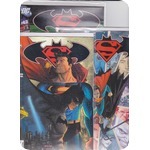 Both comics are in NM condtion, polybagged with white backer boards..
Will be packaged with care and fast shipping..
Superman The Man of Steel #50 The Trial of Superman!! 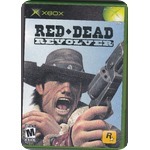 Both Comics are in Near Mint condition, polybagged with white backer boards..
Card is in NM condition..
Pokemon Platinum Arceus AR9 Holo- foil..
RED DEAD REVOLVER FOR THE XBOX..
GAME IS USED, BUT IS IN LIKE NEW CONDITION..
Full Spectrum Warrior for the XBOX..
Comes with packaged with a special man-made chamber called a Cryolitter.. 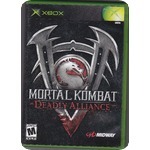 Does have some minor shelf wear, has a couple stickers on plastic casing..
Action figure is still sealed Mint on card.. 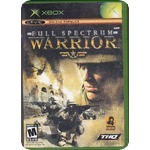 Still sealed Mint on Card.. 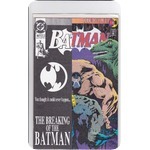 Figure is still sealed mint on card..
Batman #497 Bane Breaks Batman's Back, Black and white outer cover.. 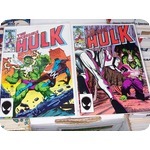 Comic is in NM condition, polybagged with a white backer board.. Brand New, Never been opened!!!!! Mark V & the Mark VI with Power up glow.. 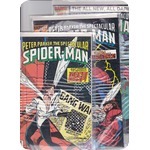 Both are Mint on card..
All 3 comics are in NM condition, polybagged with white backer boards..
Peter Parker, The Spectacular Spider-man #105-106, 114 All 3 comics are in Very Fine condition and or better.. Polybagged with white backer boards.. Exclusive Playmates Skybox 30th Anniversary Collector's Card Included! !